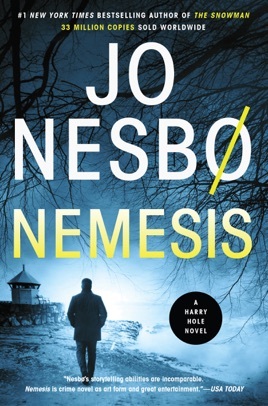 Gripping and surprising, Nemesis is a nail-biting thriller from one of the biggest stars in crime fiction. Grainy closed-circuit television footage shows a man walking into an Oslo bank and putting a gun to a cashier's head. He tells the young woman to count to twenty-five. 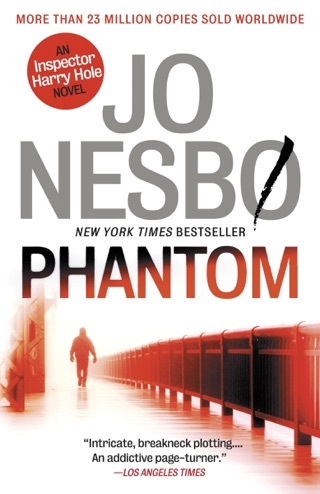 When the robber doesn't get his money in time, the cashier is executed, and two million Norwegian kroner disappear without a trace. 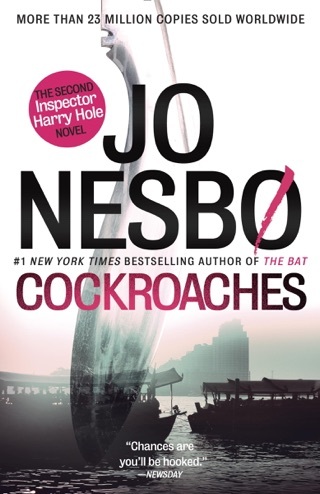 Police Detective Harry Hole is assigned to the case. While Hole's girlfriend is away in Russia, an old flame decides to get in touch. Former girlfriend and struggling artist Anna Bethsen invites Hole to dinner, and he can't resist a visit. But the evening ends in an all too familiar way as Hole awakens with a thundering headache, a missing cell phone, and no memory of the past twelve hours. That same morning, Anna is found shot dead in her bed. Hole begins to receive threatening e-mails. Is someone trying to frame him for this unexplained death? Meanwhile, the bank robberies continue with unparalleled savagery. As the death toll continues to mount, Hole becomes a prime suspect in a criminal investigation led by his longtime adversary Tom Waaler and Waaler's vigilante police force. Racing from the cool, autumnal streets of Oslo to the steaming villages of Brazil, Hole is determined to absolve himself of suspicion by uncovering all the information needed to crack both cases. But the ever-threatening Waaler is not finished with his old archenemy quite yet. 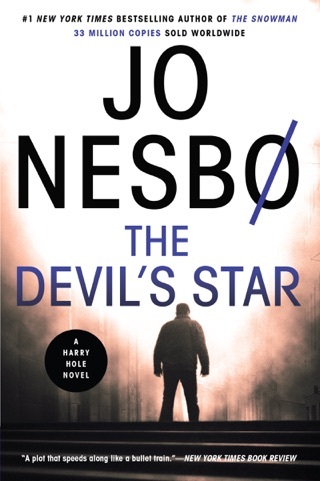 Two thrillers with the same title one a contemporary Norwegian crime novel, the other a historical featuring legendary lawman Eliot Ness are due in the new year.NemesisJo Nesb , trans. from the Norwegian by Don Bartlett. Harper, (480p) When a bank teller is shot during a holdup at the start of Norwegian bestseller Nesb 's beautifully executed heist drama, Oslo Insp. 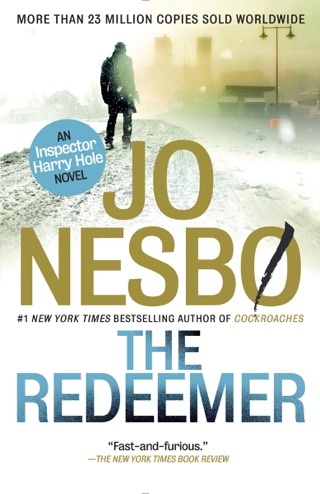 Harry Hole investigates, along with Beate L nn, a young detective with the ability to remember every face she's ever seen. Meanwhile, Harry receives a call from Anna Bethsen, a woman he hasn't seen in years. After he meets Anna, recovering alcoholic Harry awakens the next morning with a hangover and the news that Anna is dead, apparently by her own hand. 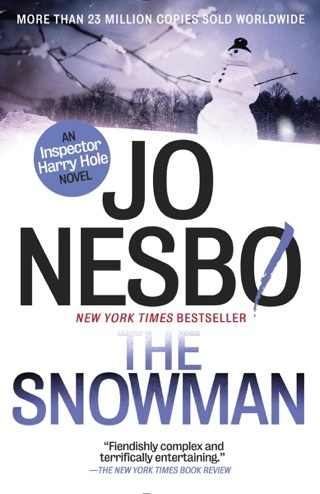 While Harry quietly looks into Anna's death, he and Beate uncover ties in their bank robbery case to one of Norway's most notorious bank robbers, who's currently in prison. The deeper Harry digs, the clearer it becomes that Anna's death is linked to the robbery. 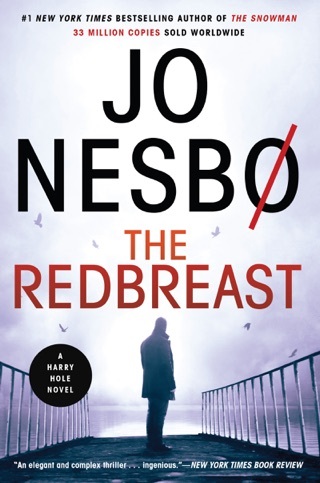 Expertly weaving plot lines from Hole's last outing to feature the inspector, The Redbreast (2007), Nesb delivers a lush crime saga that will leave U.S. readers clamoring for the next installment. The concept is great and the novel opened with promise; however, the translation is very poor. The transitions from scene to scene are difficult to follow without the help of transitional words. It is sometimes difficult to work out if the action is taking place in the past, present, or future. 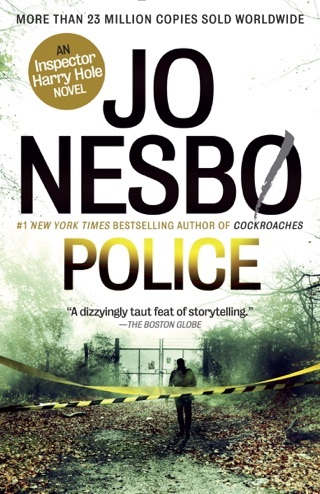 The really gripping aspect of the novel is the crooked cop side-story that is sadly underdeveloped, perhaps to be explored in a future novel. As for purchase of said future novel- only with a different translator. 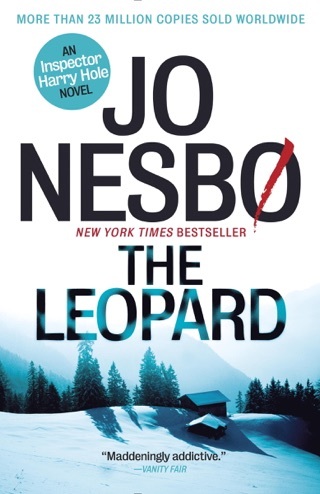 I enjoyed all the characters and even when I had to go back to keep track of each one I always liked the pace of the book and the details it provided. A good crime story ! 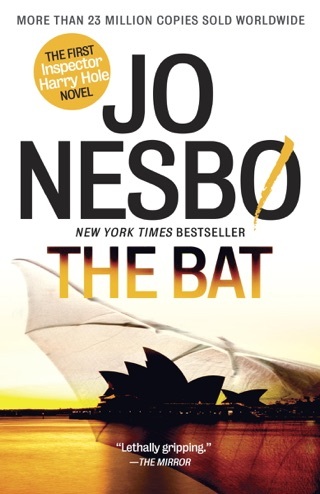 Good detective story with a lot of twists - some a bit unrealistic, but hey, this is fiction after all. Entertaining. Good character development.